La Liga launched a petition on Thursday to prove supporters are behind its plan to stage a league game between Girona and Barcelona in the United States. Both clubs have signed a formal request submitted by La Liga to the Spanish Football Federation (RFEF) to allow the fixture to be played at Hard Rock Stadium in Miami on January 26. 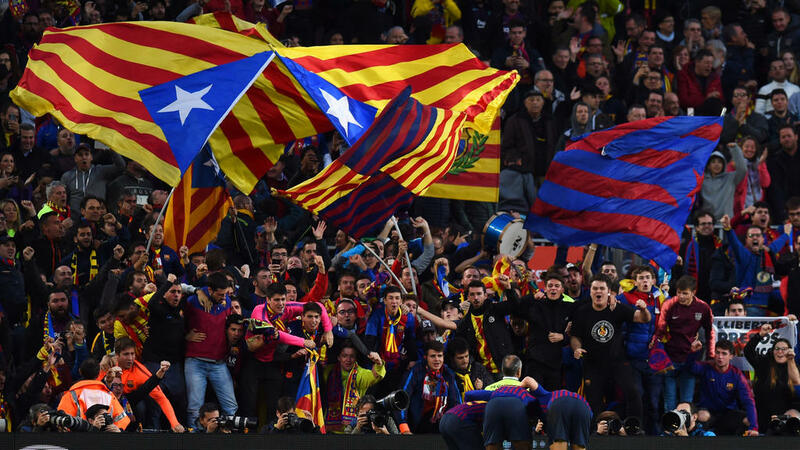 Key organisations, however, have objected to the idea, prompting La Liga to seek the approval of fans as part of a #BringUStheGame campaign. The petition, initiated by La Liga North America, reads: "Imagine watching Luis Suarez, Philippe Coutinho, Cristhian Stuani, Portu, and others competing right here at home. A real league match, with points on the line...There's only one problem. "Some of the key decision makers are falsely claiming it won't be good for the game in the US. So we, the fans, need to fight for this match by telling them: It's good for the fans. It's good for the game. "Are you in? The more support we have, the harder we'll be to ignore." The targeted fixture is scheduled as a home game for Girona at their Estadi Montilivi, where theoretically they would hold a greater advantage. Fans have been offered a compensation package, including free flights to the match, but even one game abroad would arguably disturb the balance and integrity of the competition. RFEF president Luis Rubiales has been vocal in his opposition to the idea while the Spanish players´ association (AFE) has maintained players will have the final say. La Liga must be granted permission by the RFEF and US Soccer Federation, as well as UEFA and CONCACAF, the governing bodies in charge of European and North American football respectively. FIFA´s approval is not mandatory but its president Gianni Infantino said last week that world football´s governing body would forbid the proposal. "FIFA will not authorise the playing of a match either in the United States or in any other location that isn't the stadium of Girona," Infantino said. "As FIFA president, I announce that the organisation is against La Liga's idea and will forbid Girona-Barca to be held in the United States or any other country that isn't Spain." La Liga have indicated they will take the case to the Court of Arbitration for Sport if FIFA prohibit moving the match. The plan is part of a 15-year deal struck between La Liga and the American media company Relevent, aimed at promoting soccer in the United States.